A tempo run means a ‘continuous run at just below race pace’ and is an important part of any runners training schedule. A tempo run trains your body to run on the lactic threshold, so the point before lactic sets in, for a extended period of time and thus improve your ‘Running Economy’. Running Economy is how efficient you are at using oxygen while running at a given pace, I will explain why thats important now. When I say lactic, I mean lactic acid. To explain what lactic acid is in a way you can understand it is, when you run nice and easy you use your aerobic (with oxygen) energy system, this is primarily reliant on oxygen to fuel your muscles. If you up the pace and start running a little quicker your body produces lactic acid. It may sound a little silly how your body is producing something that would potentially slow you down but it’s done for your own good. If you run hard, your muscle tissue breaks down, lactic acid is your bodies mechanism for controlling the break down of these muscle fibres. So when you muscles don’t have enough oxygen in them and they are still being used they have to turn to another source for energy. This is when you use your anaerobic (without oxygen) system. This system is powered by Glucose and you will be very lucky if you get around 3 minutes running while using this system before the by product…our mate lactic acid sets in and slows you right down. How do I know how fast to run? One of the main issues with a tempo run is working out how fast to run, saying run just below race pace can be vague as often you don’t know exactly how fast you will run in a race. 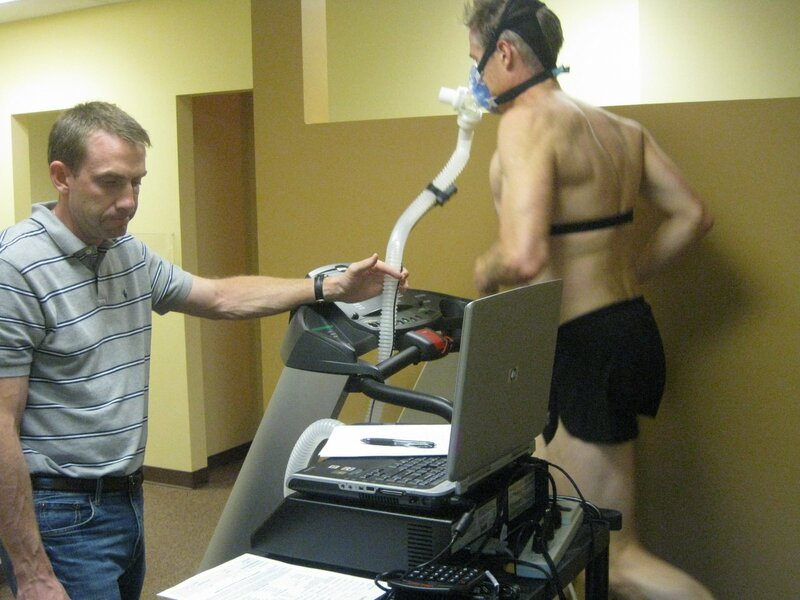 At the elite end of running you often see elite athletes having tests on a treadmill with wires hanging off their arms. What they are doing is attempting to work out their VO2 max along with their lactic threshold. You probably won’t have that luxury so we have to break it down in relation to how fast you’ve run before & your target race distance. In general I’d say that you should run 20-45 seconds slower per mile than your 10k race pace. And the run itself should be between 20-40minutes long. If you haven’t run a 10k before, then take your 5k time, double it and add on a couple of minutes. The you can work out the minutes per mile from there. Fitting a tempo into your weekly run should of paramount importance, once a week should do the trick to see some real gains. The improvements you can make by implementing this into your schedule are enormous if done properly. You should feel easy and more economical running at slower paces which will in turn allow those easy runs to become recovery runs and allow you to push harder on the tempos and improve your personal bests. Always remember that you need to warm up properly, don’t go rushing out the door and run a tempo without at least having a 5-10 minute jog before letting rip. Your muscles (including your heart) need to be sufficiently warmed up and prepared before you start.